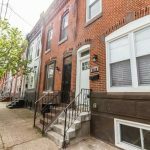 JG Real Estate is a busy real estate brokerage in the Fishtown neighborhood of Philadelphia that services center city and adjoining areas. We specialize in property management. JGRE was founded with the ideology that a successful business must offer a superior product and service. Our team works diligently to solve problems in a professional and courteous matter, which sometimes means working outside of typical business hours, and going above and beyond to ensure success. This is a job which requires a certain blend of hands-on technical ability coupled with strong negotiating and logistical coordinating skills. If you can see yourself changing a lock-set while at the same time answering a call from a tenant who doesn’t understand why their dryer wasn’t fixed yesterday, then this job is for you. – Make site visits to properties to perform inspections, problem solve maintenance issues, and develop long-term maintenance plans. JG Real Estate is growing and there’s room for advancement. JGRE typically pays for an employee to get their PA Real Estate license after a successful 6-month review. We have a track record of promoting from within and always aim to give employees additional responsibilities which correlate to their unique skill-sets. JGRE has a very positive company culture composed of individuals who are team players, care about what they are doing, work above and beyond and we also organize various company volunteer days throughout the year to give back to and stay involved with the Philadelphia community. Take a moment to read up on our firm and make sure you think it’s a good fit prior to applying. 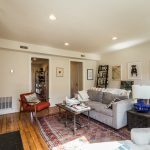 JG Real Estate is a full-service real estate brokerage located in Fishtown and serving all of Center City and surrounding neighborhoods. We are in need of a creative mind with a strong work ethic to join our team as Marketing Coordinator to lead projects and assignments from concept and development through implementation and tracking. Experience required. – Updating active rental and sales listings for price reductions, revised availability, showing instructions etc. – Contact management: compiling & maintaining e-mail contact database and consistently running marketing campaigns for lead generation and client retention. Experience with Mailchimp and/or HubSpot a plus. – Social Media Management: creating & publishing relevant content and analyzing results on a consistent basis across various social platforms – Facebook, Instagram, Twitter. Direct experience running successful Facebook ad campaigns preferred. – In-depth knowledge of Philadelphia neighborhoods in order to highlight key details like transit locations and area hot spots. – Experience in real estate preferred but not required. JG Real Estate is an award-winning local brokerage comprised of employees who take pride in their own work, love what they do, and who understand that this industry can often go beyond 9-5. You are someone who would do what it takes to get the job done, to do what is right even if it’s not always easy, and to be open to continually learn and grow in your field. You will work alongside and collaborate with our current Marketing Coordinator, but also work closely with our Leasing and Sales teams. You are able to work both independently and within a team. You are an idea-generator but also an implementer – you won’t just think of the next cool thing to do but be able to articulate why we should do it, how we should do it, and analyze whether or not it’s working. Our current coordinator is heavily skilled in visual mediums (professional photography/videography) so while we need this second position to also have that same ability in order to handle the large listing intake bandwidth, if you are stronger in analytics, digital media, and/or writing than you are in photography, for example, you may actually complement the current position well. Please give a Brief synopsis of why you are interested in the position and why you are qualified.